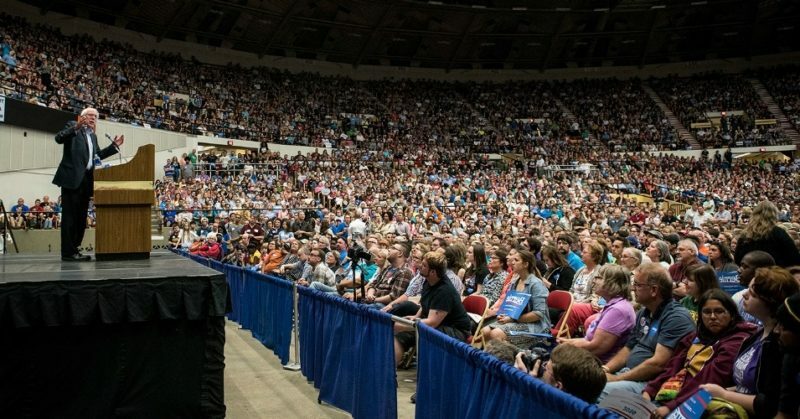 According to the author of the article, Alex Seitz-Wald, the “Bernie mafia” is any progressive organization or operative who rallied around Sanders and his Presidential campaign. By that definition, Bernie Sanders has a pretty large and powerful mafia. Plenty of progressives supported the Sanders campaign, including the frontrunner for DNC Chair Keith Ellison, sitting US Senator Jeff Merkley, and dozens of labor organizations. The dangers of this label are clear. Associating a large group of mostly young, energized, liberal voters with an organized international body of criminals is simply not an effective strategy to court such an easily swayable demographic. The Democratic Party especially struggled with young voters in 2016, a demographic the overwhelmingly supported Sanders during the primaries. Despite Barack Obama’s vast support among millennial voters in his successful Presidential campaigns, Hillary Clinton could not energize the demographic in a similar fashion. Surely, condescending labels such as “Bernie Bro” and “Bernie mafia” did nothing to court the main Sanders demographics, which ultimately contributed to Clinton’s loss in 2016. There’s also a not so subtle irony to associating Sanders supporters to an organized group of criminals. Though it certainly did not constitute a crime, the DNC’s collaboration to stack the Democratic primary in Clinton’s favor — which led to Debbie Wasserman-Schultz stepping down as DNC Chair — was certainly a more organized, nefarious effort than any action that came out of the Sanders campaign. If the 2016 election proved anything, it’s that the Democratic Party has lost touch with its base. Yes, Hillary Clinton will win the popular vote, due in large part to massive number of votes coming in for Clinton in California. However, Clinton struggled mightily among white working class voters, even losing some white female demographics. But rather than learn from this astonishing defeat, the liberal wing of the corporate media has immediately returned to name-calling and generalizing large groups of people. Hillary Clinton ran her Presidential campaign under the banner of “Stronger Together.” Labeling a growing wing of the Democratic Party as the “Bernie mafia” will only serve to further divide the Democratic Party at a time when the Party needs nothing more than to rebrand itself and unify its progressive and moderate wings.